Scientists know climate change is altering rain and snowfall patterns in Southeast Alaska’s Tongass National Forest. 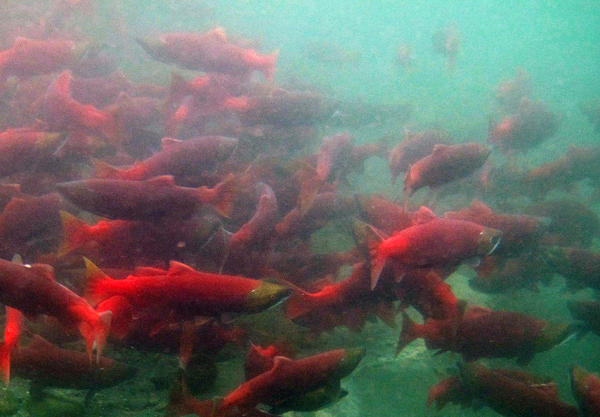 A new study details how that could affect salmon and suggests what can be done. That’s the opening statement in a report released earlier this year by The Nature Conservancy scientists Colin Shanley and David Albert. Standing next to a fast-running Juneau creek, Shanley says the research began by examining about a half-century of Southeast stream-gauge measurements. “By doing that we can figure out how historical patterns of temperature and precipitation affected our current stream discharges and things important to salmon,” he says. The researchers looked at how warming temperatures and changing rain and snow patterns have, and will, affect the sources of streams. “Those watersheds that are generally fed by deep snowpack in the mountains might see fluctuations in their snowpack. And that in turn affects how much water is in the river throughout the rest of the next summer,” Shanley says. One threat is flooding during the spawning and incubation period. The study projects that will happen more often during key times. “When the salmon run up the river in the fall, they’re laying their eggs in the gravel and leaving them there, hoping that they’ll hatch. And some of these high-water events, where you get rain on snow, are going to cause more flooding events, or that’s what we predict. So certain streams are more susceptible to scour and loss of salmon eggs,” Shanley says. In other places, streams may have less water and flow slower. That’s already happened in parts of central and southern Southeast, killing fish. “For the salmon streams that are really reliant on a more consistent rain to maintain adequate flows, you’re seeing water temperatures exceed what salmon can really tolerate,” he says. Shanley says some of those scenarios can be addressed. The study recommends restoring or improving damaged streams and rivers. That includes more of the restoration work already being done, including adding trees and stumps. “The wood in the water slows down the water, so that can help with higher water. … That’ll get cooler and then they (salmon) can hide from predators and direct sunlight,” he says. Shanley says fixing culverts and reconnecting diverted streams to wetlands would also help. That’s also been done, but he says more is needed. He adds other change will come without human assistance. “What we imagine happening is kind of a shifting in productivity of streams in Southeast Alaska. 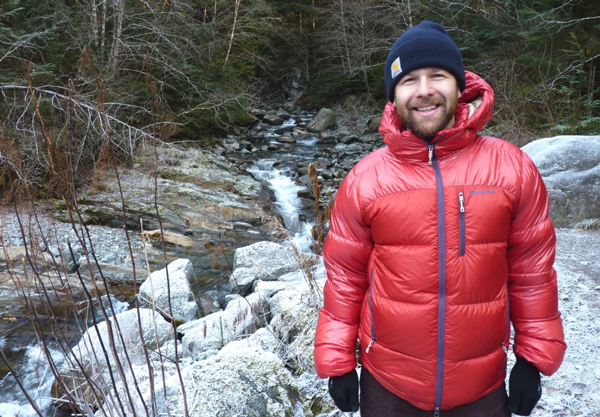 Because there is a great variety of streams in terms of mountainous headwaters and glaciated headwaters and low-elevation floodplains that were really set up to be pretty resilient,” he says. Changes in watersheds could affect other plants and animals, as well as community drinking water supplies. That’s been predicted for a while. But Shanley says it’s not all bad. “This is not a doom-and-gloom outlook. This is really just us just getting smarter about how climate change may play out and how it might affect resources that are valuable to us,” he says. The two-year study was published in the Public Library of Science-One, an international, peer-reviewed, online publication. It cost about $90,000, with grants from the Alaska Sustainable Salmon Fund and the Gordon and Betty Moore Foundation. The Nature Conservancy is an international conservation organization. Other regional projects include Tongass National Forest restoration projects and small business development.